Boggle... that's that game with all the dice with letters on, right? I feel like pointing out that before it was outlawed in 1842, girls (and women) were just as likely to work underground in Britain as boys and men. They generally paid less, too. Fortunately for the girls in this family, Tom is the eldest and with their mother gone they are probably going to be tasked with keeping house in her place. So looks like they escape the pit, for now. There was a lady back in my family whose husband was killed coal mining (pre-OSHA days), so she packed up and took her young sons off to another town to ensure they'd never be miners. Such a dangerous job in this period. Wow this is great. I'm digging the traditional art which seems so fitting for the setting. A successful thematical marriage you could say. Great job on establishing so much in three pages. Sometimes it's hard to know how much you need to say but I think you've done your job well here. Thank you! I'm really enjoying trying out traditional media for this, I thought it would match the story fairly well. Ahhhhh!!! 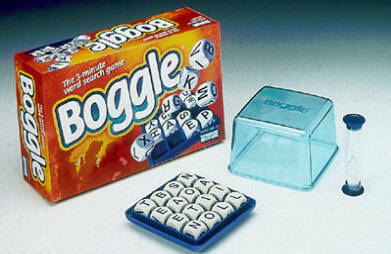 The Boggle!!!!! Ahhhhhh!!!! Hehehehe! I hope we get to see one! 8D They're one of the best faerie myths!!!! Have you heard of the Boggle, lad? It's the one of a kind word game that both kids and adults can enjoy! I think sometimes we fail to appreciate that for most of human history (and even today) life was fraught with choices like this, that really weren't choices at all. Life for most of mankind has always been nasty, brutal, wearisome, and short.